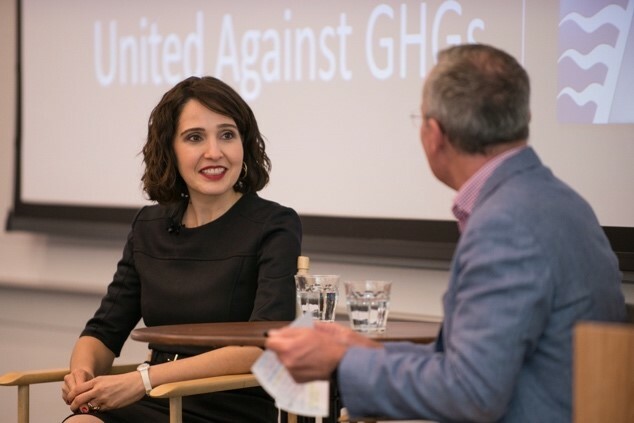 United Against GHGs: Diesel Free by ‘33 was held at the Bay Area Metro Center in San Francisco, on September 12, 2018. 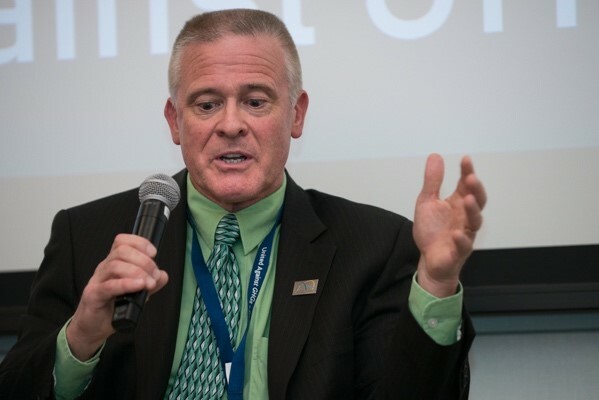 More than two hundred local and county government leaders, including non-profit organizers and business leaders joined the Air District and MTC at this full-day conference. View the event agenda(199 Kb PDF, 2 pgs).  The Diesel Free by ’33 Statement of Purpose has been signed by more than a hundred representatives from cities, counties, and industries throughout the Bay Area and beyond, affirming their collective commitment to drive down diesel pollution by the year 2033. This pledge is still active and we encourage you to navigate to the Statement of Purpose page and sign. Your support of our diesel-free efforts is essential and an important step towards a healthier Bay Area and world. 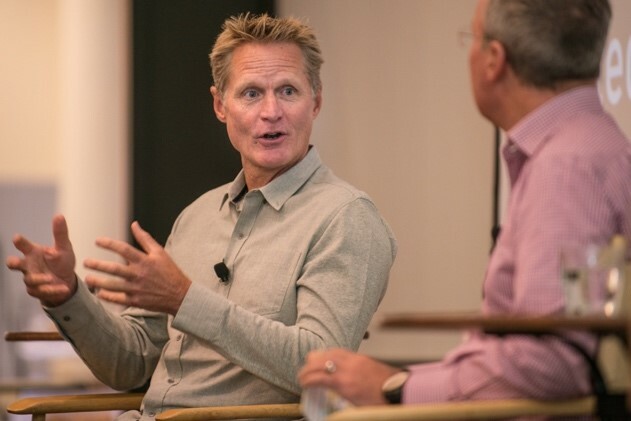 Steve Kerr, head coach of the Golden State Warriors, speaks with Climate One founder and host Greg Dalton about the importance of addressing climate change as a bipartisan issue. 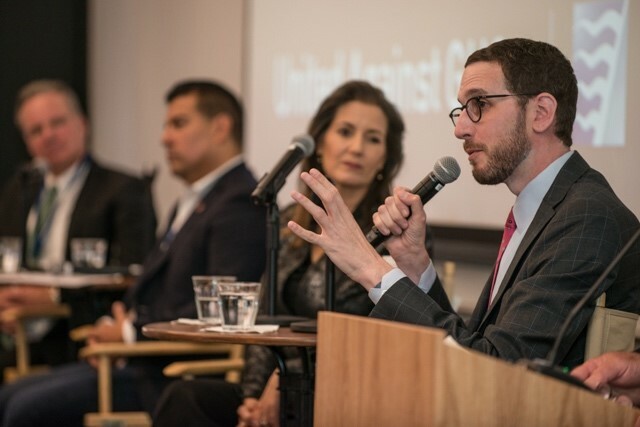 Senator Scott Wiener joins Oakland Mayor Libby Schaaf, Senator Ricardo Lara, and Santa Clara County Supervisor Dave Cortese to discuss their communities’ steps in reaching diesel-free goals. 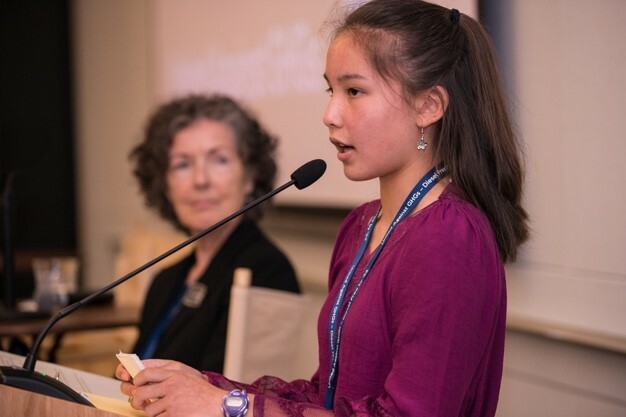 Youth speaker Alyssa Goldfield, of Lincoln Middle School in Alameda, Calif., explains why educating students on climate change now is imperative for the health of future generations. 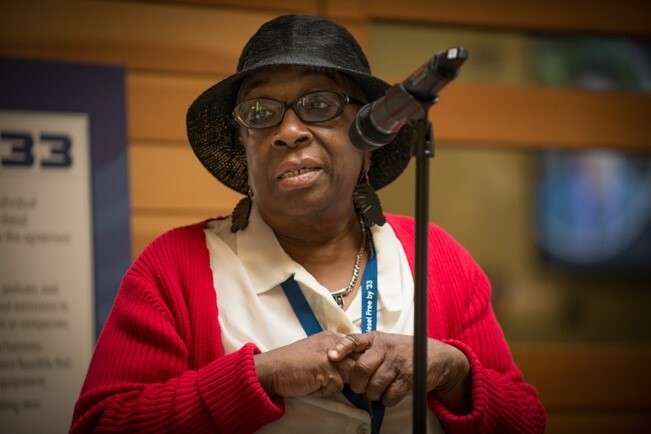 West Oakland Indicators Project co-founder, Ms. Margaret Gordon, explains how her community has been impacted by diesel and why diesel reduction is crucial for improved public health. 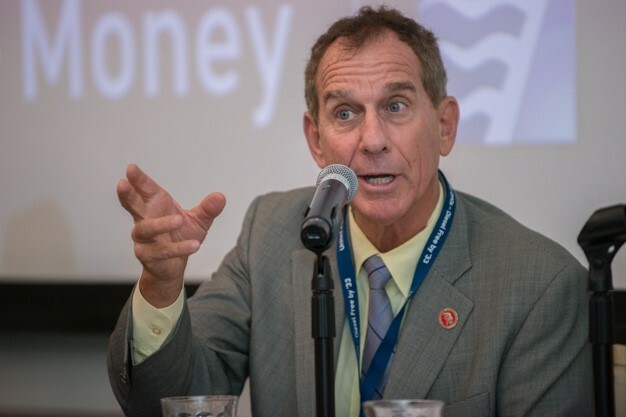 Richard Corey, Executive Officer of the California Air Resources Board, speaks about climate change as a public health issue and the need to create health-based targets in reaching zero-emission goals. BYD Motors President Stella Li discusses technology options for going diesel-free. Also pictured: Wayne Nastri, Executive Officer of South Coast Air Quality Management District; Ray Minjares, International Council on Clean Transportation Program Lead; and Cindy Chavez, Santa Clara County Supervisor. 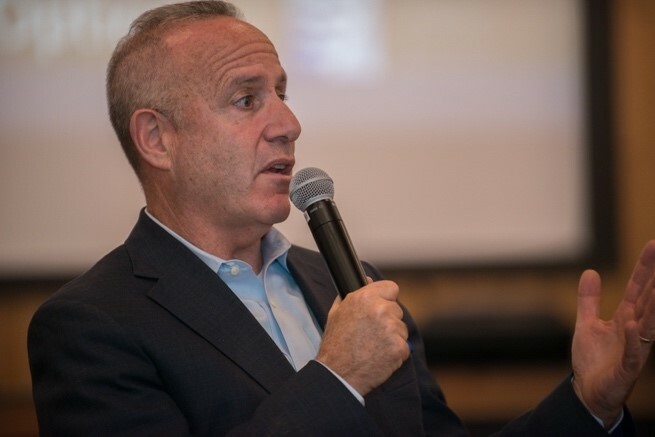 Sacramento Mayor Darrell Steinberg addresses the city’s diesel-free goals and action towards a healthier community. Senator Bob Wieckowski discusses California’s effort to eliminate diesel trucks and improve the transportation of goods. 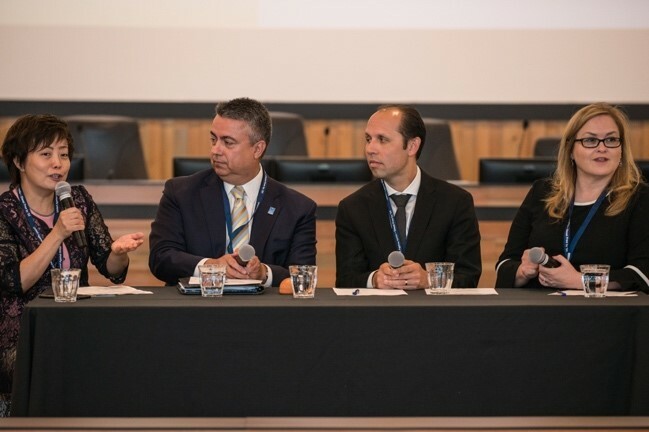 Mexico City Secretary of the Environment Tanya Müller García, speaks about the importance of public transit in phasing out diesel and improving public health.